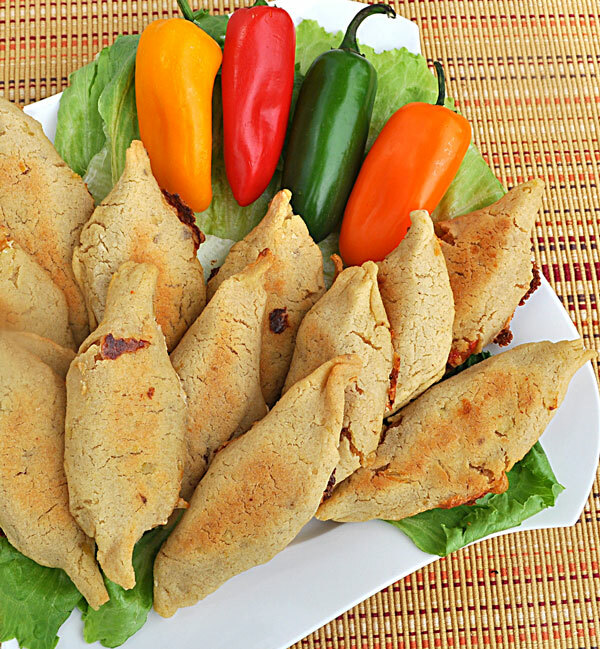 Molotes – little cigars or torpedoes – are a delight to make and eat in any form. As a popular Oaxacan street food, they often take a back seat to many of the more popular foods, including mole poblano. Some call theses masa concoctions quesadillas; others will say they’re empanadas. But I don’t think so. These should have their own shape, as mentioned above, and their own distinctive ingredients if desired. They can be sweet or savory; large or small, and are enjoyable as an antojito or a meal. Authentic molotes are fried, but we prefer baked. When you’re making a large batch for a gathering, it only makes sense to pull these out of the oven hot and ready to serve. Of course, if you prefer the fried versions, they’ll reheat. Make them ahead of time and you’ll have a platter of crispy goodness. Once you’ve tried them, you won’t save them for the holidays; they’re that addictive. 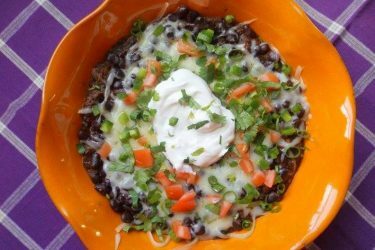 Toppings include salsa, a black bean puree, and sour cream or crema. One note: you’ll want to prepare two mashed potato batches. For the dough, potatoes should be well cooked to create a smoother puree. The filling can be a little firmer and with some lumps. Peel, cube and boil potatoes until well done, about 18 minutes. Thoroughly mash the potatoes (use a fork or your hands to avoid gumminess). Add cumin, salt and the masa dough. Work the dough to cookie density. Separate into 24 round balls, about 1½ inches diameter (ping pong ball size). Cover tightly with plastic wrap until ready to roll out. Peel, cube and boil potatoes, about 15-17 minutes. Drain, cool and mash. Mince the jalapeno, red peppers and yellow peppers. Add cheese, chili powder, salt and pepper to the mix and blend well. Take each dough ball and place on wax paper. 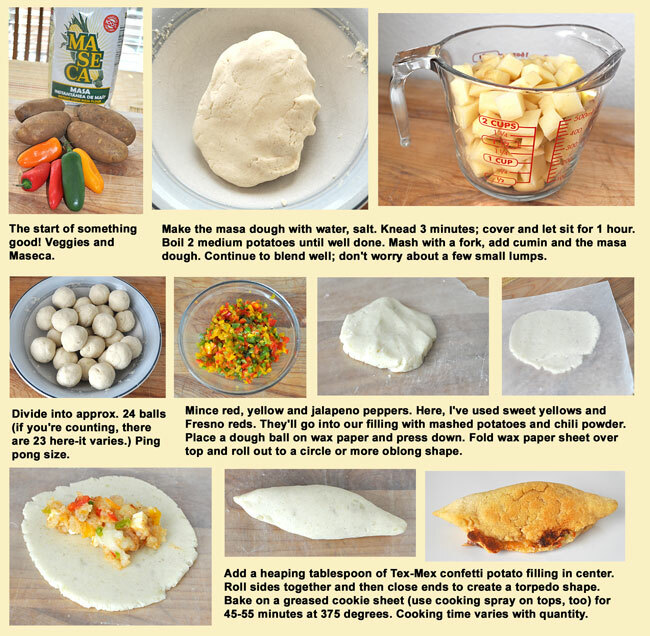 Keep the others covered as you work – masa dough tends to dry out quickly. If it’s too dry; add water. 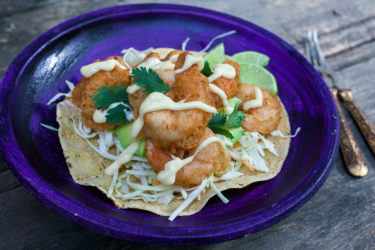 If too sticky; add a little more masa. Press down into a fat circle. Fold over the wax paper and use a rolling pin to create an oblong-ish circle – about 4 inches. Peel off the dough and place a tablespoon or more of confetti potato filling in the middle. Fold dough sides over the filling and roll in hands to create a torpedo/cigar shape. Place on a lightly coated cookie sheet and add another coating of cooking spray on top. Bake in preheated 375-degree oven for 45-55 minutes, turning as needed to brown and prevent sticking. They’ll flatten somewhat. Serve with toppings or dipping ingredients of choice.